First we came home from our marvelous trip to the Grand Canyon to discover that our dishwasher wasn’t working properly and when the repairman came, we found out it was going cost nearly $400! Yikes! So we decided that instead of repairing a 5 year old appliance, we’d just buy a new one, since the cost was about the same and we’d have some warranty for a little while. Bad news! Next Terry’s “check engine” light came on in his car plus he needed new pads for his brakes, so he took the car in on Saturday to a mechanic that he had used for basic service, but not for anything major. As is the case with some mechanics, he had a less than ideal experience and after SEVERAL HUNDRED MORE dollars, the “check engine” light still wasn’t diagnosed or fixed and we still needed to take it somewhere else for that repair. That was more bad news! On Monday when he drove to work he discovered that the “check engine” light was off! Yea! So, either the issue that triggered the light was inadvertently fixed when it was in the shop or at least we’ve delayed it for now. Good news! 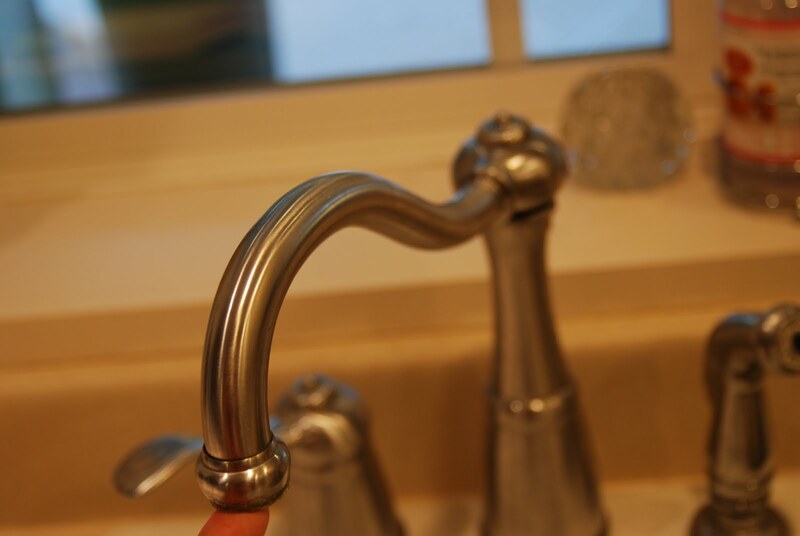 Then, tonight when I came home from work, I was running some water at the kitchen sink and the top of the faucet just FELL OFF RIGHT IN MY HAND!! What?!? I have NEVER had that happen before. Crazy news! 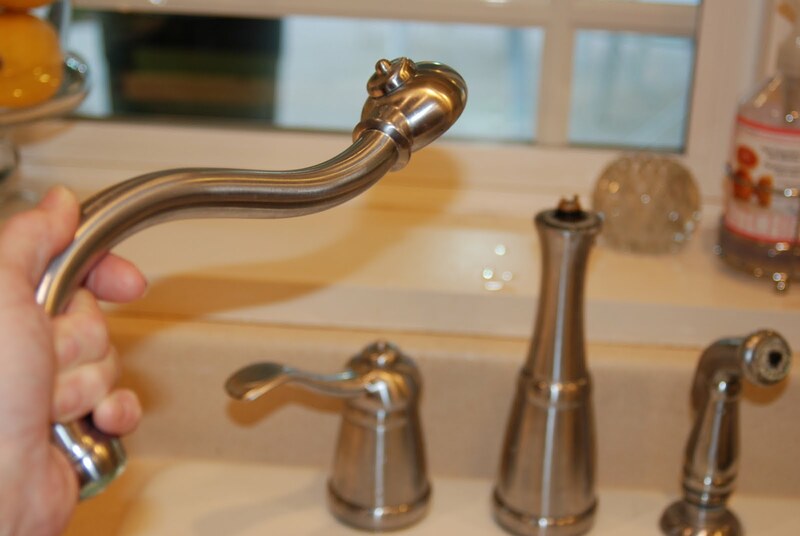 At least it’s a Price Pfister faucet and my information says that it has a lifetime warranty. Let’s hope that’s good news when I call the company tomorrow! O.k., let’s recap – no dishwasher to wash dishes and no kitchen sink to wash dishes. I guess that means we’re eating out a lot, or washing dishes in the bathroom or the pool. Fun, fun, fun! A week like this makes me thankful for all the weeks that aren’t like this and reminds me of all the amazing blessings that we are constantly receiving both large and small. It also makes me realize that so many others are going thru far more difficult things than the few inconveniences that we’ve had this week. God takes such good care of us with the cherished love of so many family, friends and brothers & sisters in Christ, in addition we enjoy good health, stable jobs, a more-than-comfortable home and everything we could possibly need.